Specially developed for premium SUVs and cross-overs. Engineered with a focus on luxury, all-season traction and ride comfort with improved rolling resistance and fuel economy, the KL21 is on the original equipment list for a multitude of vehicles. Enhanced fuel economy and even wear. Optimised traction on wet and snowy roads. 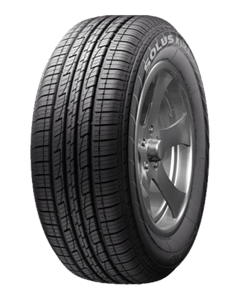 Sorry, we currently do not have any tyres with the Solus KL21 pattern in stock.